Killzone on the Playstation 2 was knighted as the Halo killer that unfortunately was greeted with mix reviews from around the world. 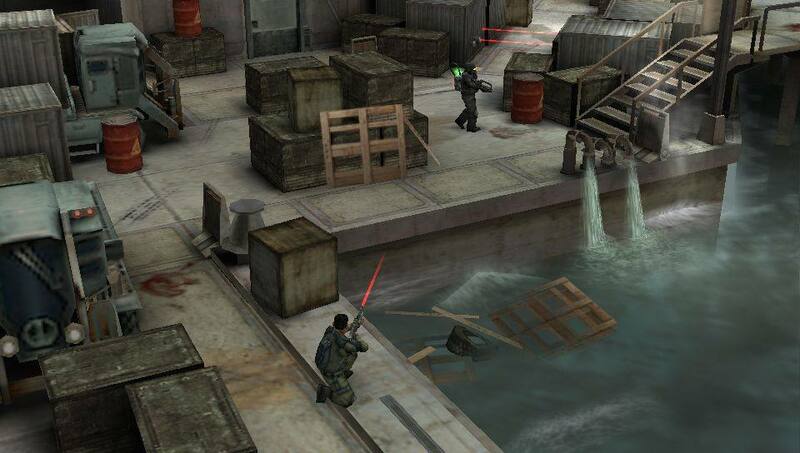 The initial screenshots of this first person shooter on the PlayStation 2 were simply amazing; however the developers used a combination of high resolution textures with low resolution that caused great debate among the gaming community. Needless to say, Killzone was a hit on the PlayStation 2 and this time it’s the PSP’s turn with a sequel entitled Killzone: Liberation that promises the same thrills and action as its precursor. Once again the game is still set in a post apocalyptic future where the tyrannical and nefarious General Metrac is still enforcing genocide upon the population of the world through his powerful Helghast army. Set two months after the original game, gamers control Jan Templar and fortunately for the people of Southern Vekta, this hero stands in the way of General Metrac who has been given orders to rescue ISA hostages and to use deadly force with any who stand in the way. Unique Third Person Camera: This new intelligent camera system gives the player the best overview capturing all of the intense action, enabling them to make tactical decisions before engaging in a firefight. New and Returning Characters: The player reprises the role of the battle hardened Templar (although other familiar characters appear including Rico) as he attempts to save ISA hostages taken captive by the evil General Metrac and leads the battle to gain the liberation of Southern Vekta. The player will have to overcome all new Helghast enemies including bodyguards (complete with riot shield defence) and trained killer dogs. Missions: The fight against the new, sinister General spans over 16 missions in a variety of new environments. Weaponry: Players will be able to utilize a wide range of weaponry including sniper rifles and a crossbow with explosive tipped arrows and more. Tactical Command System: At specific points in the game, players will be able to use a new Tactical Command System to give orders to an AI buddy during frantic firefights. Vehicles: Killzone: Liberation also allows players to drive vehicles including tanks and hovercrafts to help defeat the powerful and intelligent enemy. Challenge Games: Players can compete in challenge games to sharpen their skills and earn new abilities. Multiplayer Functionality: The multiplayer functionality in Killzone: Liberation takes full advantage of the wireless capabilities of the PSP hardware, with two distinct styles of gameplay: 1) Two player cooperative gameplay in the single player mission 2) One to six player games over six multiplayer maps. Gameshare Mode: Killzone: Liberation will feature gameshare mode where players can share demo levels of the game with other PSP system owners. The gameplay of Killzone Liberation takes a twisted turn from its predecessor as the first person shooter aspect has been replaced with an extremely entertaining top-down view that is similar to games such as Fallout, Gauntlet or Diablo which makes perfect sense for the PSP. In its essence, Killzone Liberation is a futuristic slaughter fest of Gauntlet that gives the gamer access to a variety of futuristic and technological advanced weaponry. Apart from running around and annihilating your enemies, Templer can also perform a variety of manoeuvres such as rolls, climbs and ducks and match that to other equipment available such as C4 explosives and the army of Helghast has just received their latest cure. Another interesting addition to the series is that players can also commandeer vehicles and navigate the gaming environment which is a great twist to the series and actually quite entertaining. The control system of Killzone on the PSP is perfect and uses the analog stick to move your character with shoulder buttons and the d-pad used for firing, changing weapons and accessing different equipment. With that said, the control system is perfect and even the novice gamer will have little difficulty in mastering. Combat in Killzone is also extremely well coordinated and gamers can attack their foes from a variety of different positions in the gaming environment and with a plethora of new weapons such as flame throwers and even crossbows, there’s definitely a weapon of choice for you. Even the AI will go out of their way to find a better position to take your character which is great news for those wanting a little bit more out of their game. Apart from the 16 single-player campaign missions, Killzone Liberation also features some great multiplayer access that allows 2-players to play via a co-op mode or up to six players via the combat zone for some pure action packed adrenaline pumping excitement. 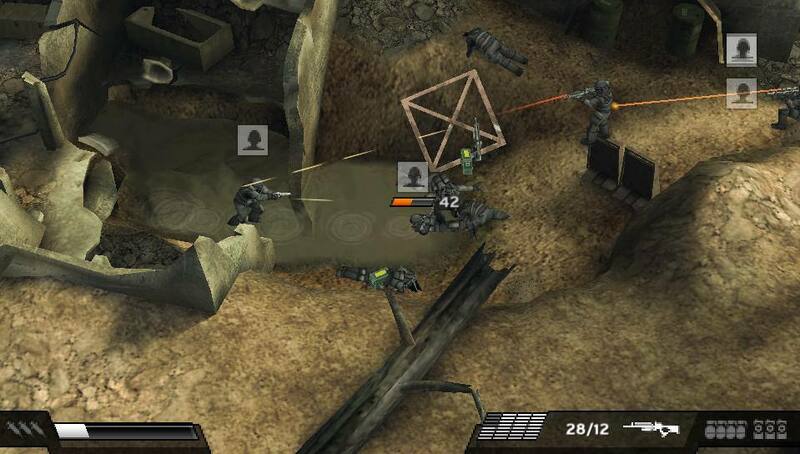 Graphically, Killzone Liberation is a visual treat on the PlayStation Portable that features state-of-the-art graphics with highly detailed post apocalyptic backgrounds that really immerse the gamer into this dangerous and ruined world. Match that with realistically modeled characters and a wide range of special effects from Hollywood style explosions, lighting and some amazing firing affects and this is one top class title. Musically, Killzone Liberation features a great soundtrack that matches the genre perfectly and add in a variety of background ambience and all the sounds of war such as weapon muzzle or your enemies being challenged and it’s very easy to get lost while playing this game. In conclusion, Klilzone Liberation is a brilliant addition to the PSP library that features an extremely original concept to the system with great graphics, an engaging storyline and some of the best damn gameplay in months. Highly Recommended!